What support is available for school aged children? Please see the range of options outlined below and contact us to speak to our team for more information. The program begins with a comprehensive assessment to identify the strengths and areas needing further development for your child. It brings together the combined clinical expertise of our transdisciplinary team into a single Intervention Plan developed with your family and integrating your NDIA goals. School readiness, including organisation, participation and independence. Emotional regulation and social skills. Expressive and receptive language and literacy skills. Therapy for individuals is delivered by a range of allied health professionals, including: speech pathologists, occupational therapists and psychologists. Therapy is delivered at home, school or in our specialist centres and includes parent and carer involvement. If additional support is required to help guide your child’s behaviour, our specialist behaviour support team is on hand. The first step is a further in-depth assessment, followed by the development of a Positive Behaviour Support Plan, personalised to the needs of your child. This program also includes training and coaching for parents, siblings and other supporters. Our team will work closely with you and the school to facilitate the transition into new school environments, the integration of therapy goals within the School Individual Education Plan and to support curriculum modification and integration of visual strategies. This will include school visits and teachers are also encouraged to observe individual therapy sessions to replicate strategies that can be implemented into the classroom. Support is available to plan career pathways to encourage a successful transition from high school to university or TAFE, employment, alternatives to employment and community or recreational activities. 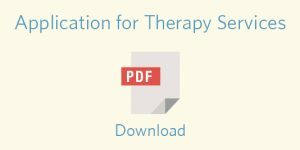 Therapists provide parents with information and materials relating to ASD throughout the year. In addition, visual resources will be prepared and implemented across home, school and community environments, whenever required. The goal of these resources is to develop the person’s independence, communication and social participation. Collaboration: We work in collaboration with Teachers to maximise the participation and inclusion of all students with Autism. Teachers can also contact your key therapist at any time to discuss strategies to positively support behaviour and develop skills. Teacher training workshops: See the events calendar to find out more about the teacher training workshops available during the year. Find out about our highly popular small-group therapy programs, designed to develop identified skills in a welcoming and encouraging way. The Autism Association’s trans-disciplinary team approach enables us to draw on the strengths of therapists from different professional backgrounds. Our team are passionate and dedicated to making a difference in the lives of people with Autism and their families. We meet with the person with Autism, their family and other important people in their life to discuss the goals that are important to them. Together we develop a Plan that outlines the best way to achieve these goals. One Team member is given the role of key therapist. The key therapist is responsible for collaborating with the person’s support networks and is the direct contact for the person with Autism and their family. Team members are skilled in supporting people with Autism and their families and receive extensive and ongoing professional development. Services are best practice and based on leading national and international peer-reviewed research in the field of Autism.